Welcome to the fourth day 12 days of anime. I seem to be a tad behind due to getting busy unexpected but I wanted to talk about on this day is memorable anime songs I got addicted to this year. On my youtube last year I made a list of favourites and wanted to do the same thing. Hey you might discover something new hehe. Last post was talking my lifting moment, I had become addicted to the first opening of Iron Blooded Orphans. First few seconds of the opening are perfection to me, way to get me hooked to a tune. It’s a really upbeat, hard driving song but what I love most about this song is the lyrics like the main “Raise Your Flag”. Stand your own ground when the going get’s rough vibe is what I feel from the song and has me thinking back every time about main cast of characters. Their struggle to make their own mark in the world and find a place to belong, so this song is a great rocking tune to have on hand, if you need some up lifting. 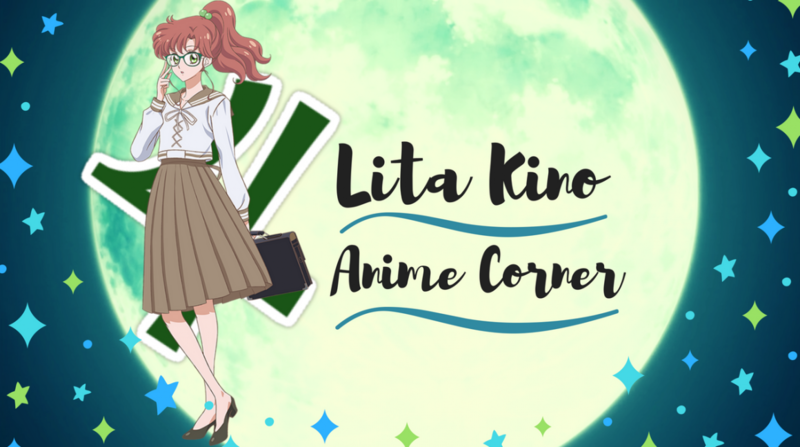 In November I caught up on some back log anime and re – watched wolf girl and black prince a appreciation school romance. First time watching it didn’t fall in love with anything about but second time watching it, the ending theme song “appreciation Heart” By appreciation got catchy quickly. It’s kind of cutesy type track I use to listen to a lot in my early anime days, it’s rare I’ll like anything this cutesy now. It has a suttle beat to it and not over the top cutesy for my taste, so this is nice to listen to whenever I’ve chilled out reading some manga. The short 6 minute project by combination of A1 pictures and porter robinson, ha which I still have not watched yet, must do that. I discovered the main theme track on spotify and is a major addiction let me tell you, screams out chillness to a T. Refreshing, different piece to listen to. One anime movie I had wanted to see for a long while Patema Inverted. Beautiful movie of taking the concept of heights and gravity, shown in a interesting light. The ending song “Patema Inverse” sung by Estelle Michaeu hit me like a ton of bricks in the movie’s final scenes. Estelle vocals are angelic to bring out the full beauty in this song and think will be one of those songs that makes you want to tear up. This year I got more into listening to anime’s original soundtrack and to my surprise, I had never listened to the vision of escaflowne OST. From memory their are three OST soundtracks for Escaflowne, video above is random playlist of different tracks from those albums. I have too many favourite tracks one for example “White Dove”, I love the old school vibes I get from this 20 year old series, the music reflects it’s ages well. Yoko Kanno I never her greatness till I listened to this and what an incredible composer she is, have a new appreciation for her work now. Main Kurosaki did one hell of a job with those songs. Man with a Mission, Re:Re: (the Erased OP) and Hikari no Hahen (the op to Orange) were what I listened to the most this year from this year. Though I went through a phase a couple of weeks back where I couldn’t get enough of “Swordland” (from the SAO OST).